Today, we have satellites, aircraft, bombs, guns – a whole slew of modern warfare technology that countries use to protect themselves from other nations. But in ancient times, the only thing that separated people from a potential invasion or destruction by a foreign nation or their soldiers was a simple brick and mud wall. These defense walls were the common protectors of cities and sovereign lands in ancient times. We can see the remanence of them all over the world – from The Great Wall of China to The Walls of Constantinople in Turkey. Which brings me to the Seoul Fortress Wall. A hanbok is a traditional Korean dress. Throughout Korean history, commoners wore the hanbok and it became popularized during the celebrated Joseon Dynasty. Interestingly, the hanbok was adopted from nomadic cultures in northern Asia, so its style is drastically different from the formal wear adopted by agricultural cultures like China. Although the style of the hanbok evolved over time, Koreans still wear the hanbok for formal or semi-formal events like festivals, celebrations, special family events, weddings or first birthdays. Street foods are a favorite among locals, expats and tourists in South Korea. The most popular and often beloved of these foods is Ddeokbokki. Ddeokbokki (do-bo-ki) is everything one looks for in the perfect street food, or any food for that matter: It’s commonly found, inexpensive, fulfilling and most importantly – delicious! Korea wasn't always an incredibly modern, high tech, "bbali, bbali" ("hurry, hurry") country. In fact, back in the day before it was a nation of Samsung and skyscrapers, its residents preferred a simpler, slower paced lifestyle. I remember when this fact was first brought to my attention last year. I was walking with a Korean friend amongst the trees on Namsan Mountain. The leaves were beginning to change colors and an early autumn wind blew up the trail on which we were walking. We sat down on a traditional wooden gazebo like the ones that are commonly found in parks and outdoor resting places throughout Korea. As I was taking in the scenery, my friend informed me that gazebos like the one we were resting on were originally used by the royal and noble classes of the former dynasties. There, they would recite poetry, drink tea (and alcohol, I'm sure), play music, and dance all the while having a 360 degree view of the environment surrounding them. Korea: A Low Trust Society? An interesting article in the Korea Herald recently caught my eye (HT to ROKDrop and William on KBC for posting about it previously). The article featured a lot of mixed themes between trust, lying, legal and cultural points but wading through it does make for an interesting societal discussion. The listed facts and figures can’t really tell the whole story in this situation and while raw numbers have increased, I would present it as evidence of Korea becoming a more litigious society with expanding impersonal ties leading to more accusations. Just because it’s the winter doesn’t mean the Joseon Dynasty tomb quest is on hold. I can’t control the weather, but the snow does make some scenes come alive quite nicely. Tucked behind an outdoor market and a couple hundred meters from the main road are two Joseon-dynasty tombs. While Heolleung and Illeung are in Seoul, the hustle and bustle of the city are quite far away. The result is a quiet, peaceful place to play in the snow, picnic, or whatever the season may allow. 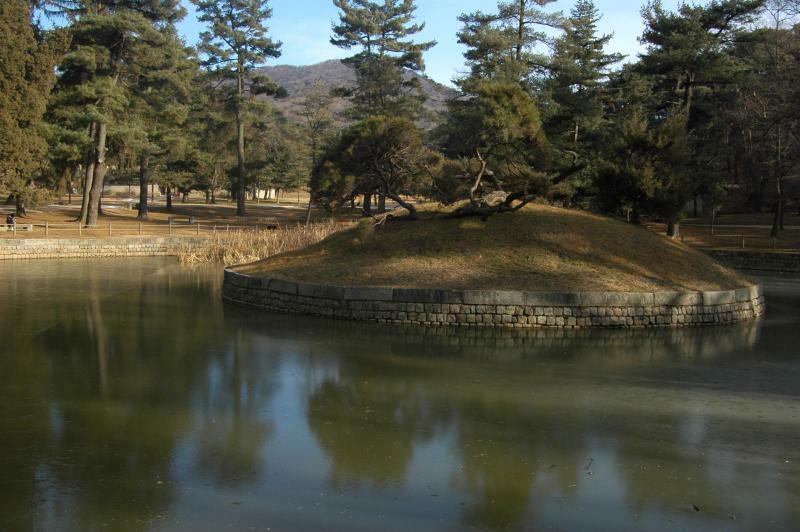 As with many of the other Joseon Dynasty tombs, Hongneung and Yureung are somewhat off the beaten path. Although they’re relatively close to present-day Seoul, they often require a bit of a bus ride to reach. Thankfully, this one’s pretty easy to get to – and a few bonuses while there make the site that much more interesting. 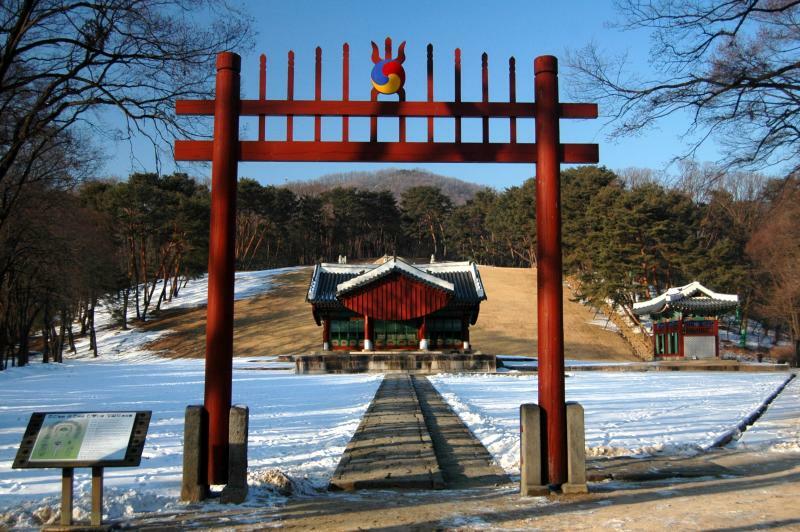 Chronologically speaking, Hongneung and Yureung represent the last two tombs of the Joseon Dynasty. Even as the Joseon Dynasty is sometimes thought of as ancient history, it’s worth noting that the last person buried here was relatively recent – Empress Sunjeong in 1966. My new quest is to see all of the Joseon Dynasty tombs that are part of the UNESCO World Heritage Collection. 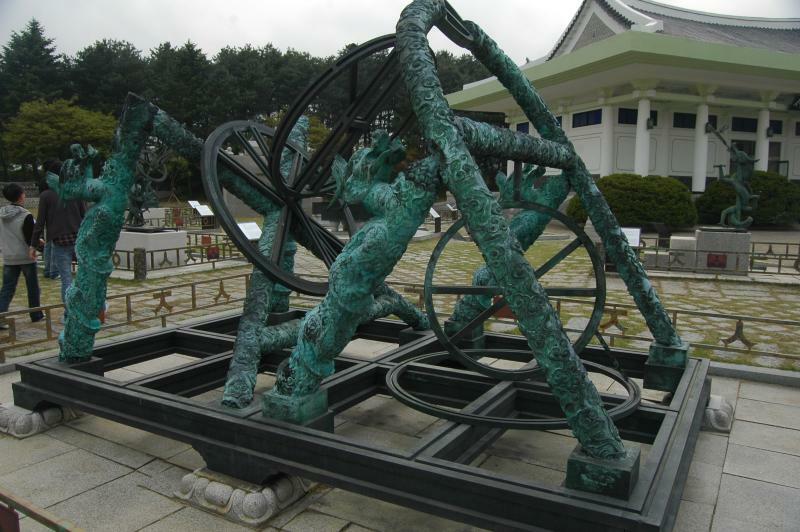 All the royal Joseon Dynasty tombs. The Cultural Heritage Administration’s website will (hopefully) provide enough information. If not, there’s always Wikipedia. Overall, there are 18 tomb clusters and 40 능 (neung) type tombs, some of which are closed to the public. With a little help, the tomb of Korea's greatest leader could rise to become a great tourist destination. Most of the pieces are already here - good English explanations, interesting things to see - but one issue makes the place less than tourist-friendly.